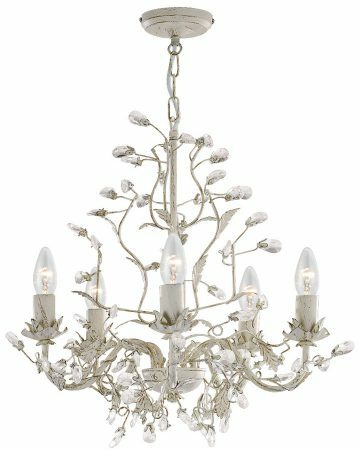 This Almandite cream and gold 5 light chandelier with crystal looks beautiful on any bedroom, dining room, hallway or living room ceiling. 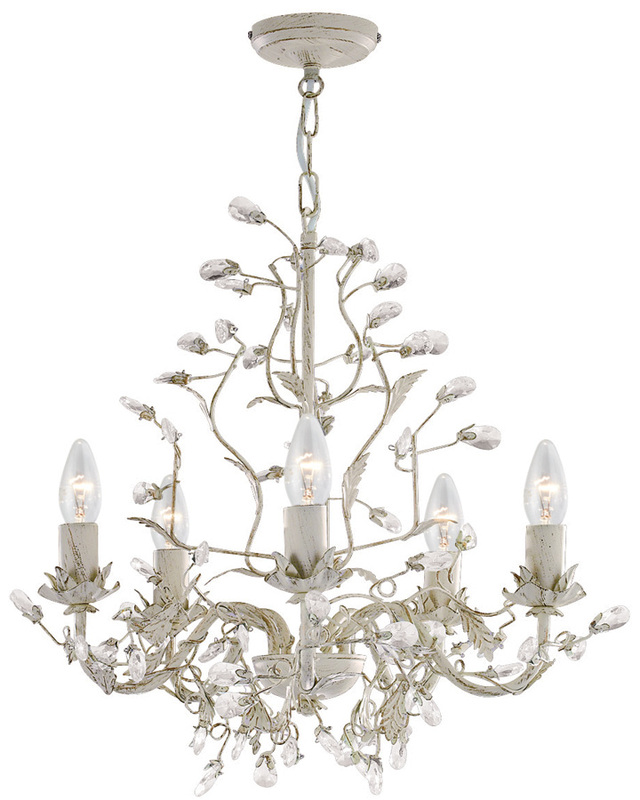 A decorative chandelier featuring a circular ceiling plate and chain link suspension, with five swan neck arms, candle style lights, petal candle pans and matching finish candle tubes. 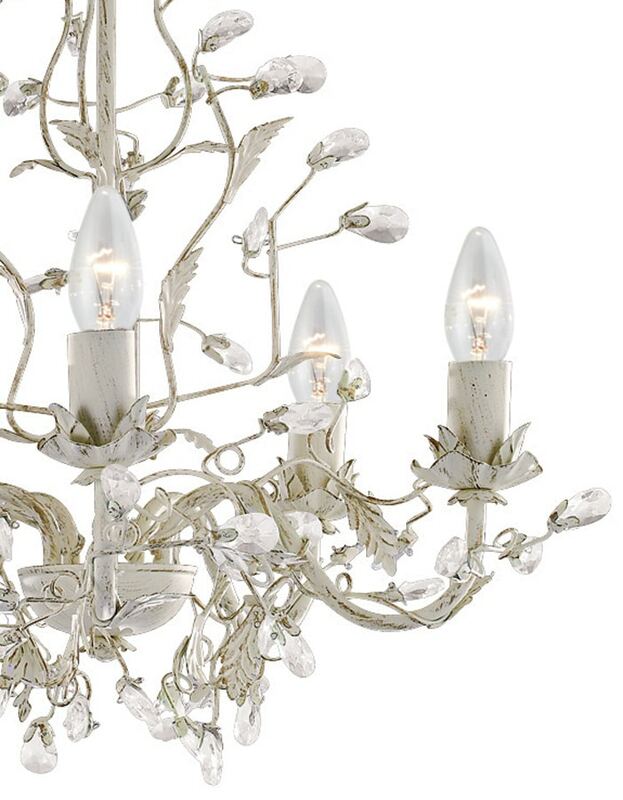 The whole fitting is decorated with sweeping curved stems, leaf decoration and sparkling crystal buds. There are matching fittings available in the cream and gold finish Almandite lighting range that includes a grand twelve-light chandelier, an eight-light chandelier and switched twin wall light; please scroll down to view. Supplied by Searchlight who manufacture some of the best traditional and modern classic designs such as the Almandite cream and gold 5 light chandelier with crystal you see here.